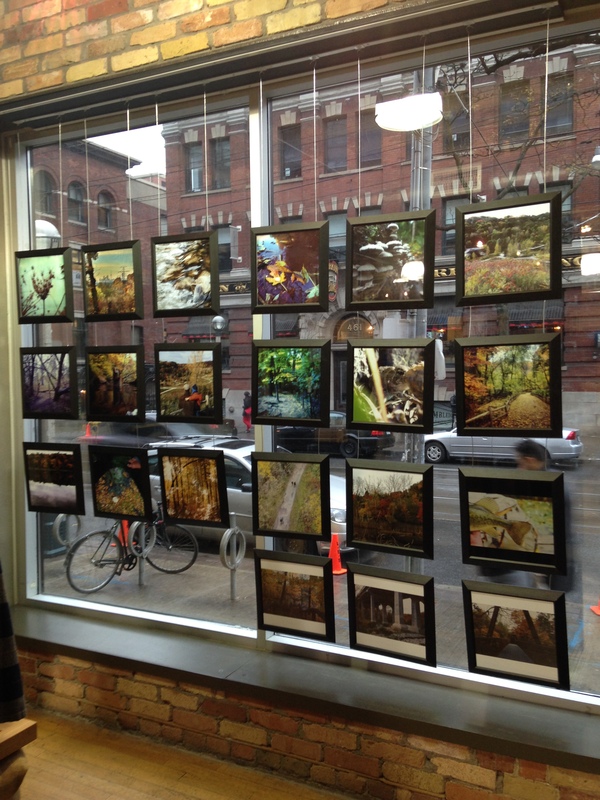 To celebrate the ravines and their central place in Toronto’s emotional geography, the Friends of the Greenbelt Foundation and Patagonia Toronto launched a call for submissions for a special photography exhibition illustrating the ravines: #Fall4Ravines. More than 250 entries were submitted by the public using Instagram and tagged with the hashtags #fall4ravines and #lovetheravines, and the top 25 images were selected for exhibition by Phil Anderson (Executive Director of Gallery 1313), Jason van Bruggen (Partner at Dot Dot Dash), Megan Torza (Partner at DTAH and curator of RavinePortal) and Susan Drysdale (Digital photographer). 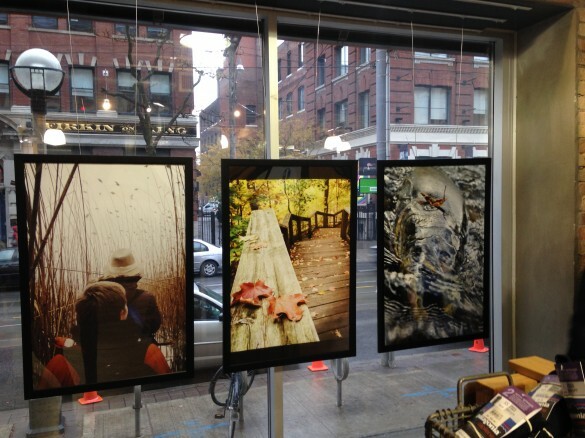 The exhibition is now hanging at Patagonia Toronto (500 King St. West), and available for view from November 6 to December 5. The selected images on display at Patagonia. The three winning submissions in the #Fall4Ravines photo contest. “RavineTalk: Possible Futures” explores the future vision of the Lower Don Valley as a form of public linear park that is sustainable and achievable, and considers how increased access, ongoing environmental stewardship, and the integration of public art might serve as guiding principles for the future vision of ravines across our City. This is the second of two special lectures complementing the RavinePortal exhibition. The intensification and development of new communities in Toronto’s downtown east core will bring an estimated 80,000 new residents to the neighborhoods flanking the Lower Don. This growing population will significantly increase the demands on the Lower Don Valley to serve as a place to recreate, and through which to commute. When Evergreen decided to build their new headquarters on the site of the former Don Valley Brick Works, they saw the potential of its ravine location to inspire and equip visitors to live, work and play more sustainably. Seana Irvine will discuss how the public can celebrate and embrace the ongoing revitalization of the Lower Don Valley, and share Evergreen’s vision of how to connect Evergreen Brick Works to the Lower Don’s other destinations, and its role within the larger context of the City’s bicycle, pedestrian and green space networks. As members of the planning and design community, DTAH are committed to public work, including the design of streets, parks and open spaces. Bryce Miranda and Brent Raymond will share their work on the Phase 1 Implementation of the Lower Don Trail Master Plan, which includes a new pedestrian and cycling bridge at Pottery Road, the establishment of the Bayview Avenue Multi-Use Path (Phase 1 from Pottery Road to Rosedale Valley Road), two new staircases from the Dundas and Gerrard Street Bridges, the realignment of the Belleville underpass, and significant improvements in the Narrows from Riverdale Park Bridge to Don River Park including trail-widening and the creation of a 1.6km Art Fence. Seana Irvine is Chief Operating Officer of Evergreen a national not-for-profit that inspires action to green cities. Evergreen’s work is driven by their belief in the power of people to enact positive change and restore the natural health of their communities. Focusing on four program areas—Green Space, Children, Food and CityWorks—they build partnerships with diverse groups and engage key influencers and the public to inspire local action and create sustainable cities. Brent Raymond is a landscape architect, planner, urban designer, and partner at DTAH. He led the recently completed Lower Don Trail Master Plan, which recommends strategies to improve environmental protection and access, and to consider possibilities for public art in the Lower Don Valley. On behalf of DTAH, Brent is currently leading the core team, which includes Nelson\Nygaard and MMM Group, to prepare the Toronto Complete Street Guidelines. Bryce Miranda is a DTAH partner and landscape architecture project manager for the Bayside development in the East Bayfront lands on Toronto’s waterfront as well as for overall planning efforts for the East Bayfront Precinct. Bryce is also leading DTAH’s contribution to the John Street Corridor project, and the Lower Don Trail Phase 1 implementation, and was project manager for the landscape architecture at Evergreen Brick Works. As part of RavinePortal I’ve had the pleasure of meeting and talking with grade 12 students from the Marc Garneau Collegiate Institute in Toronto, a public secondary school located in the Thorncliffe Park neighbourhood, within minutes from the West Don and its associated ravines. Their art teacher, Hilary Masemann, contacted me shortly after RavinePortal opened, asking whether I’d be willing and interested in meeting with her students and establishing a dialogue with them about Toronto’s ravines and their personal experiences, perceptions, and responses to these spaces. I had the pleasure of introducing many of the students to Taylor Creek Park, a silent verdant oasis located within 15 minutes from their school, and there began to discuss the importance of green space in the lives of urban city dwellers, the access issues that currently exist in their immediate neighbourhood, and what the future of the ravines might hold. “In Stephen King’s essay, “Why We Crave Horror Movies”, he states that as humans, we are constantly assuring our sanity by satisfying our thirsts for fear and anxiety. This may be one of the abstract claim’s I’ve read but I’ve caught myself doing just that. As a 13 year old, given the freedom to wander off until your parents are home from work, you tend to explore what’s most accessible to you. I’ve gone into the ravine, many, many times, and further in each time. My friends and I are driven by mysteries and mindlessly attracted to places that look suspicious. I remember a winter night in 2012, we decided to take a walk in the valley, knowing it would be empty and we’d have each other for support. As we walked deeper and deeper in the valley, we noticed little droplets of blood in the snow, as if it fell from the trees. We followed the trail for 30 minutes, the red marks remained droplets, and we gave up when we reached the bottom of the bridge that connects East York and Donlands together. I think that we’re all drawn to things we can’t manage to comprehend and we’re not satisfied until we’ve proven to ourselves that we are capable of being brave, even if that means putting ourselves in bad situations. In hindsight, I’d tell myself not to go in… OK, maybe I wouldn’t but I would advise my 13-year-old self to be a little bit more cautious. I’ve even gotten lost in neighborhoods that offer exits/entrances from the ravine, in fact, my friend and I’ve asked a stranger to drive us home once. 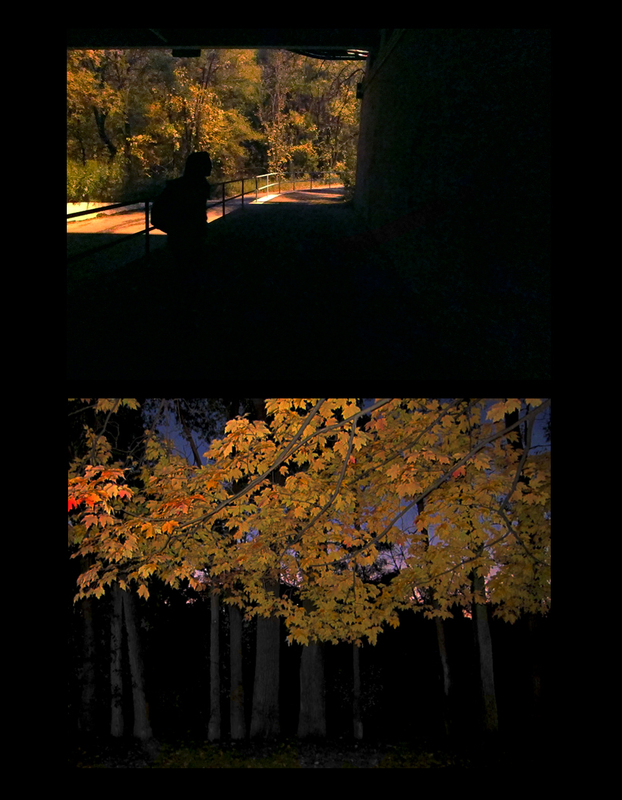 It was only 4 PM when we’d stumbled upon the staircase that leads up to the Parkview Hill Crescent neighborhood but we walked in circles for hours after the sun set trying to find that entrance to the ravine to take us home. Even asking the residents didn’t work, they’d reply with: “I didn’t even know there was an entrance!” Regardless, prominent entrances (and a good sense of direction) would’ve ensured our safety. “Toronto’s Ravines: Expect the Unexpected” explores how to balance ongoing ecological conservation efforts with improved ravine access, expanded use, and enriched cultural programming. This is the first of two special lectures complementing the RavinePortal exhibition. As stewards of Toronto’s ravine system, Toronto and Region Conservation have worked hard to protect the ravines and their ecology from development and its negative impacts including soil erosion and flooding. But in the process of protecting the ravines, their integration into our rapidly growing city has suffered. In anticipating a demand for increased access, programs and uses within the ravines, the question becomes how can the ravines be better integrated into the lives of Toronto’s residents without reversing the conservation efforts of the past? Steve Heuchert will explore the present potential of our ravines and some ideas for how the audience can enhance them for the benefit of all. Assuming that the design challenges regarding ravine access and use can be overcome, what types of programming can be organized within Toronto’s ravines to catalyze exploration, education, and appreciation of this vast natural resource? 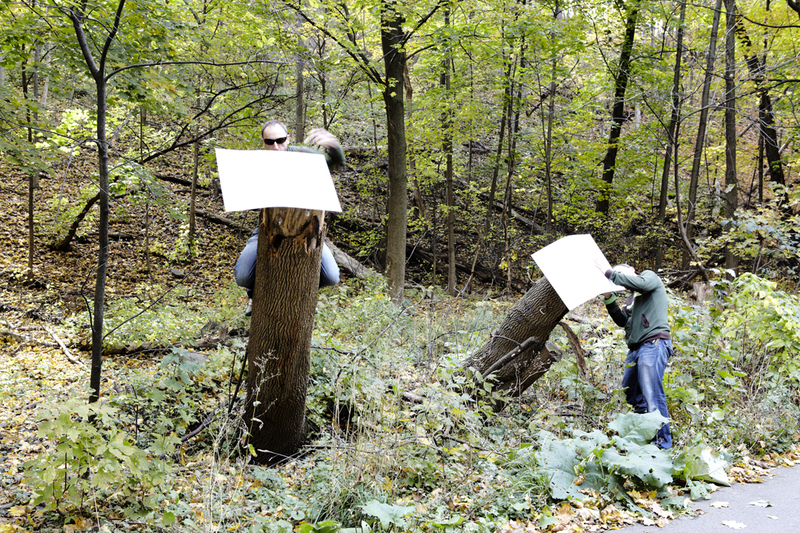 What role can public art play in introducing new populations to the ravines? No.9 Contemporary Art and the Environment has been using the ravine landscapes as a setting for cultural and educational programming for more than a decade, and sees the role of art and educational programming as vital to the future success of the ravines as a defining, interconnected and accessible open space and cultural network. Andrew Davies will speak to these questions and provide an overview of their initiatives to program and animate the ravines. Steve Heuchert is a Senior Manager, Development Planning at the Toronto & Region Conservation Authority (TRCA) where his responsibilities include management of the TRCA’s environmental planning and development review services for the City of Toronto and Durham Region. Steve also teaches with the Department of Environmental Studies (Planning) at York University where he focuses on the integration of environmental protection and urban design. He has lived in Scotland, England, Florida, New Hampshire and Massachusetts, and frequently spends time in Japan. In all, he has explored and photographed the natural and urban systems. His educational background includes a Masters of Environmental Planning from the University of Nottingham, England and a BES from the University of Waterloo. Andrew Davies received a Bachelor of Fine Arts from Queen’s University and Master in Architecture from The Southern California Institute of Architecture, Los Angeles, California. For five years Andrew was employed at the Museum of Modern Art in New York City where he designed and administered over thirty international museum exhibitions. Since returning to Toronto, Andrew has provided art consultation for numerous major public art projects including the Li Ka Shing Knowledge Institute at St. Michael’s Hospital, the NXT Gardiner Expressway Gateway Project, the Pan Am Games Aquatics Centre and the City of Toronto’s Master Public Art Plan for the Lower Don Trail. In 2006 Andrew co-founded the charitable arts organization No.9: Contemporary Art & the Environment. As Executive Director of No.9 Davies has overseen the administration and production of 21 major public art installations that have brought awareness to important environmental issues. Under Davies direction No.9 has delivered environmental art and sustainable design education programs to over 12,000 inner-city school students. 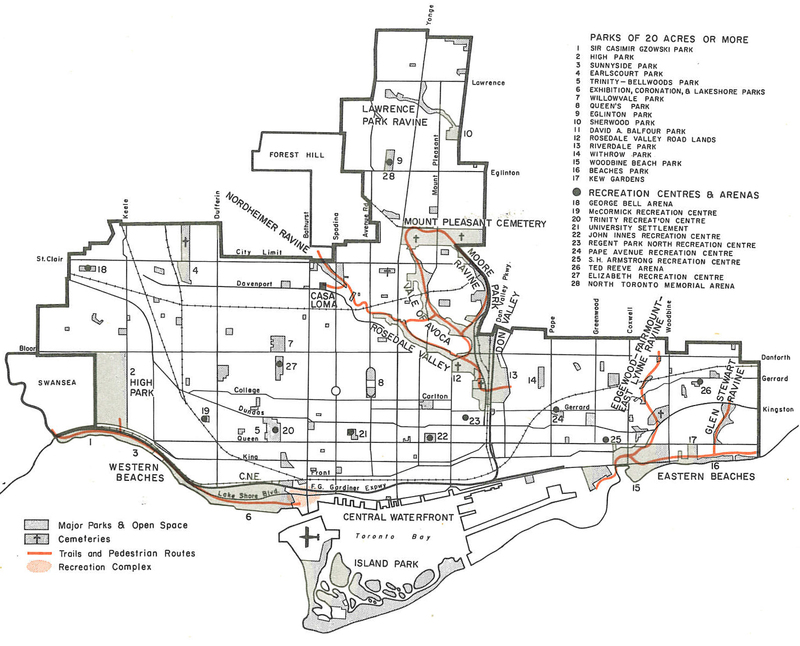 In the mid-1960’s Toronto experienced a tremendous surge of growth and development. Acknowledging this, the City of Toronto Planning Board (as it was known at the time) put together a report outlining the important issues they saw as emerging in the next 20 years, as a way of guiding development and informing a new plan for the emerging city. “Water has given Toronto four priceless gifts: the lakeshore, the islands, the ravines and the escarpment. It is proposed that Council adopt the objective that these assets be protected and enhanced as shown on the General City Plan, preserving them for all time for public use. Policies will be adopted for each of the major ravine systems so that they may remain in their natural state. Only those improvements which are necessary to make the ravines usable as continuous areas for walking, riding, picnics, and recreation will be permitted. Where necessary to prevent incompatible development, private lands will be acquired and designated as public open space. Toronto’s municipal boundary contains 26,000 acres of ravine landscapes, 30x larger than Central Park in New York. 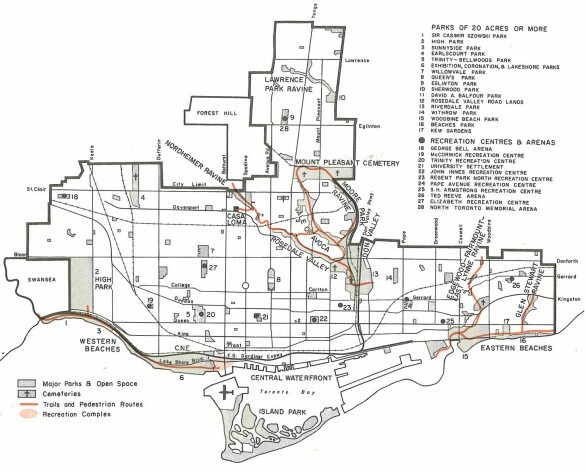 One of the key questions asked by RavinePortal is, given the scale of the ravine system and its adjacency to so many of the city’s neighbourhoods, how can its profile be increased so that locals as well as tourists think of the ravines as a valuable, defining aspect of Toronto’s identity? 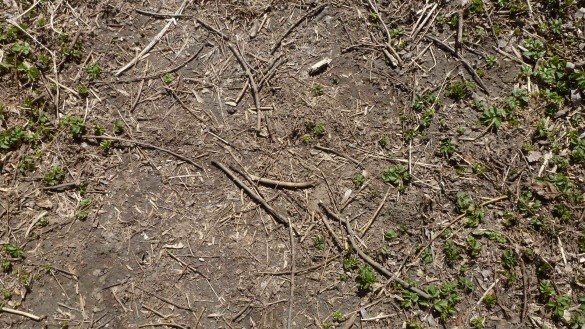 What’s the first word that comes to mind when you think of Toronto’s ravines? 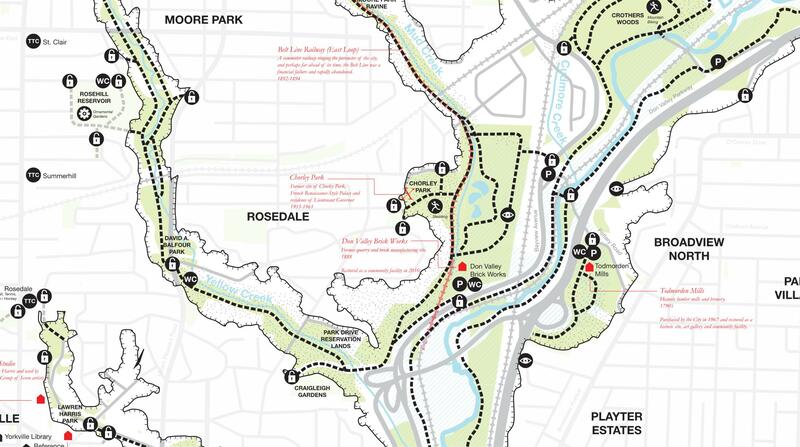 As part of RavinePortal, DTAH have authored two hacker’s guides to the ravines, one focusing on the Don Valley ravine system, and the other on the Humber Valley ravines. 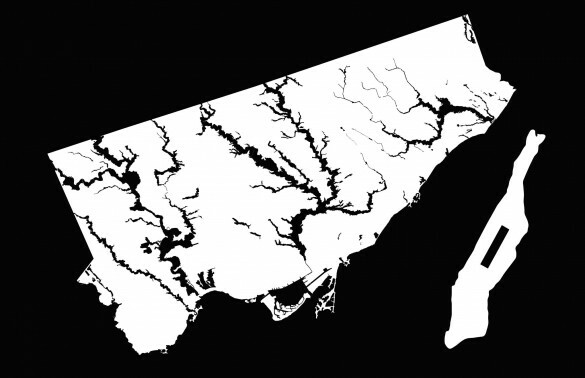 These guides feature comprehensive maps of each ravine system, layered with relevant information pertaining to access, use, programs, amenities, key features, points of interest, etc. Intending to fill a void in the mapping of our city, these guides are available for download at dtah.com. Feedback on the guides will be translated into continual updates during the course of RavinePortal.